QUEEN’S PARK, ON — On International Day for Biological Diversity, the Green Party of Ontario is calling attention to the Liberal government’s categorical failure to protect the approximately 237 species at risk found in Ontario. “Five years ago the Liberals gutted the Endangered Species Act to make it easier for the forestry, aggregates, mining and energy sectors to run roughshod over Ontario’s sensitive wildlife habitats. 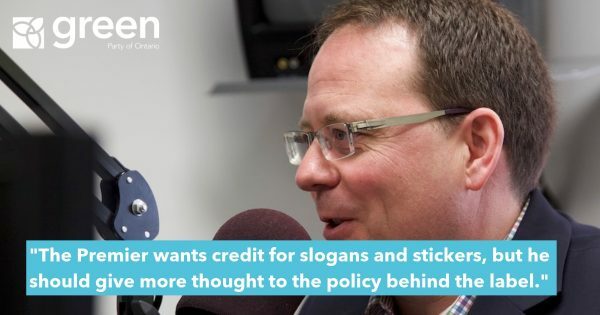 Loopholes and exemptions turned the Act from a source of pride to a source of shame,” said Green Party Leader, Mike Schreiner. It is accepted knowledge in the scientific community that we are on the verge of a sixth mass extinction – a biological annihilation of wildlife – with today’s rapid loss of species estimated to be between 1,000 and 10,000 times the natural rate. A 2016 study found that humans have destroyed one tenth of the Earth’s wilderness in the last 25 years. With these sobering statistics in mind, Greens are calling for urgent reform to the Endangered Species Act to reverse Liberal changes that effectively re-engineered the legislation to serve companies rather than wildlife and habitats. “Climate change and development pressures are putting enormous strain on biodiversity. 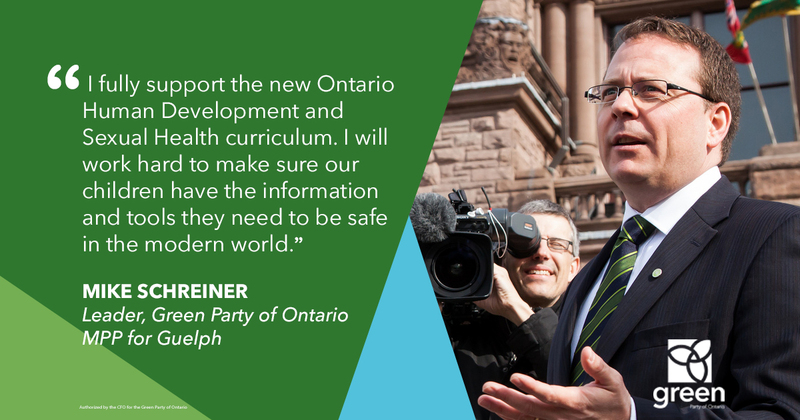 Without the proper safeguards in place in Ontario, we will decimate our plant and animal life.” said Schreiner. 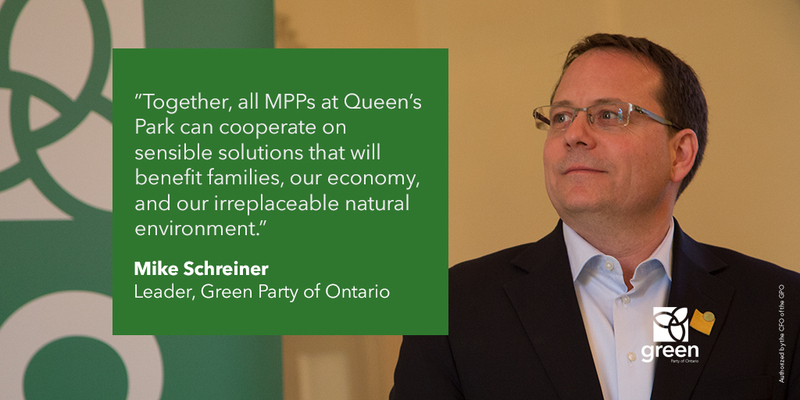 The environment commissioner agrees with Schreiner. Last October’s scathing report found the Liberals had abdicated their responsibility to the species most at risk. “With each passing year, the extent of this failure becomes more clear — the Ministry [of Natural Resources and Forestry] has reduced what should have been a robust system for protecting species at risk to what is largely a paper exercise,” said Dianne Saxe. 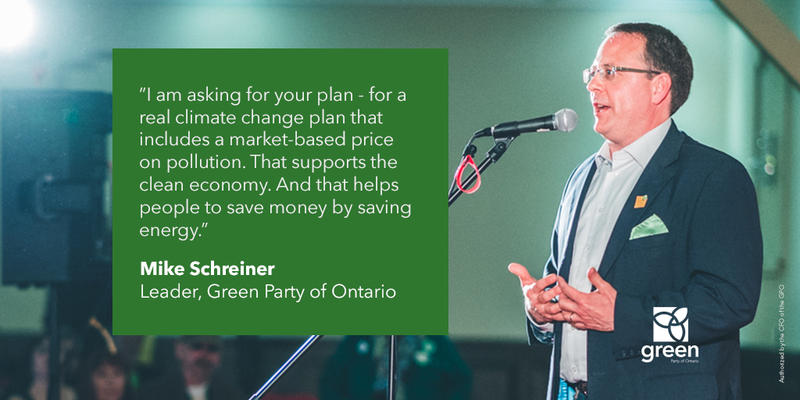 While Ford promises to drive a bulldozer over environmental protections and Horwath remains AWOL on the environment, Greens are the only party offering greater protection for the places we love in Ontario. 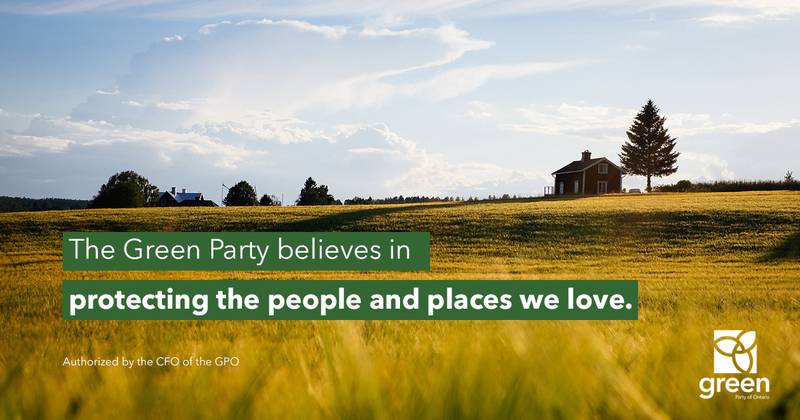 Our plan calls for a freeze to urban sprawl, extending the Greenbelt to include the region’s drinking water sources, and an immediate ban on logging in Algonquin Park. Find out more at www.gpo.ca/vision.